When I was a wee nerdling, I once attended a meeting of The Bimetallic Question. It may sound like a sinister secret society, but it’s only the Montreal incarnation of the usual sort of Sherlock Holmes fan club you’ll find sprinkled throughout the world. To this day, they get together once every couple of months in someplace suitably stodgy, talk about Sherlock Holmes, and act all Victorian. Or, if they’re particularly progressively minded, Edwardian. A highlight of the evening is a quiz about one of Sir Arthur Conan Doyle’s stories. They select a sample from the canon, encourage everyone to refresh their memory, and then ask trivia questions at the gathering. The winner gets a prize, as I recall. This was so long ago, I hadn’t finished reading all sixty of the original adventures. So when I was told we’d be questioned about the contents of The Veiled Lodger, I had to skip ahead and read that one early. “It’s not very good,” the organizer on the phone warned me in advance. Sacrilege from a Sherlockian. It was like hearing a Trekkie admit that one of the episodes of The Original Series kinda sucked. He was right, of course. It wasn’t very good. Conan Doyle was slipping in those last years of his life. After killing off Sherlock Holmes and then bringing him back from the dead due to public demand, his heart often wasn’t in it. There are plenty of gems to be found in those final collections, but some of the stories are lazy rehashes of earlier, better work – or worse, dull original material that lacks the spark that made the characters successful in the first place. A tasteful illustration rather than the lurid money shot modern audiences might prefer. The Veiled Lodger is one of those latter examples. It hardly even qualifies as a mystery. Holmes and Watson are summoned to hear a confession from a woman about a case the consulting detective once looked into but didn’t solve because he was never officially engaged. It all plays out as an excuse to get to the shocking finale where the veiled lady raises her veil to reveal what’s left of her face after it got chewed off by a lion. Where’s the accompanying Sidney Paget illustration for this one, I ask you? Okay, he was dead by the time it was published in 1927, but Frank Wiles, his successor, might have come up with something appropriately grisly. I blame The Strand editors for wussing out on the opportunity to horrify its readership. As is often the case with many characters that endure long after the death of their creators, some of the most intriguing stories were written by subsequent authors. 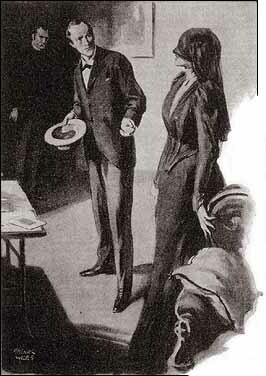 This will irritate purists, but my favourite adventures are often ones created by writers who were free to run with the groundwork Conan Doyle laid decades before them and make sense of his often egregious continuity errors. I’m particularly fond of Nicholas Meyer’s The Seven-Per-Cent Solution and what Billy Wilder accomplished as screenwriter and director of The Private Life of Sherlock Holmes (I will forever lament the hour that was cut and largely lost by the studio). Those examples hardly scratch the surface of what’s out there. As copyrights expired and the property slipped into the public domain, tremendous numbers of pastiches were written and filmed, including far more novels and short stories than Conan Doyle ever managed in his career. I have a good number of them, big and small, in my library. Now I’m looking forward to adding The MX Book of New Sherlock Holmes Stories in the fall – for reasons both selfish and charitable. This record-breaking collection is the largest of its type ever assembled, and will feature sixty new adventures of Holmes and Watson set in their proper time period and fitting in with established continuity (tortured as it might sometimes be). My story, The Song of the Mudlark, will be among the sixty in this three-volume set that will be available in hardcover, paperback and eBook. All royalties will go to the Undershaw Preservation Trust which is restoring the house Sir Arthur Conan Doyle built and lived in while he was writing certain notable tales like The Hound of the Baskervilles and The Empty House (the one that revived the detective after a long hiatus). The Undershaw property is being prepared as the new location for the Stepping Stones school for children with learning difficulties, and they’ll be moving in once the renovations are done. 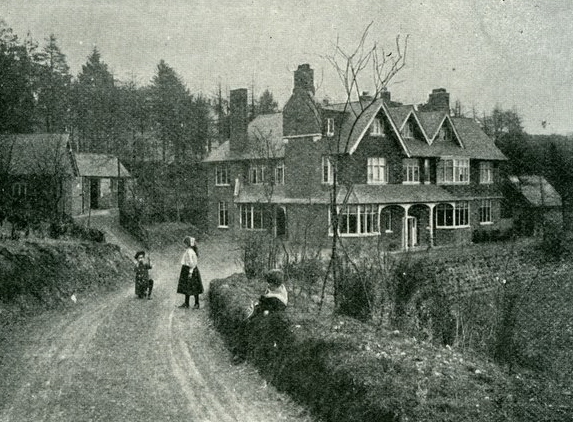 Undershaw back in the day. If you’d like to put in an early order and get your copy before everybody else, there’s a Kickstarter page with the usual levels of contribution, depending on how flush you feel. They blew through the initial goal of £2000 within the first couple of days, but the preferred total is £10,000, which will help enormously with the shipping costs of all these heavy tomes. Additional information about the project and Undershaw can be had in this recent article and this interview with the publisher and editor. Stepping Stones also has a page of their website devoted to the work on Undershaw as its new home.